An investment in physical therapy can be a viable solution if you are experiencing chronic back or neck pain. 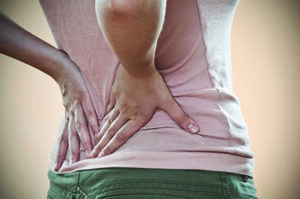 Millions of Americans are currently living with muscle or spinal pain in their back. If you are currently experiencing pain, you need to know that the right physical therapy for back pain could significantly reduce or eliminate your discomfort. Modern chiropractic care uses non-invasive, surgery-free techniques to restore your spine to its correct alignment. Many of the procedures we use at ProHealth Chiropractic Wellness Center are relaxing or even enjoyable. Physical therapy for back pain is painful: While some forms of physical therapy do cause temporary and mild discomfort, there is a far greater reduction in chronic pain as your back returns to the proper alignment and your muscles strengthen. Only surgical back pain treatment is effective: A research study published in the “Journal of Chiropractic & Manual Therapies” demonstrated that chiropractic procedures were effective at treating a wide range of back and joint pain issues. Non-surgical treatment for back pain can work just as well or better than surgery. Effective therapies are only available in large cities: ProHealth Chiropractic Wellness Center offers state-of-the-art physical therapy treatments in Rockville, Maryland to enable patients to stay close to home while visiting doctors with unrivaled skills. Physical therapy for back pain can be expensive: Chiropractic care and the other services we offer to manage pain are surprisingly affordable. We offer a range of different and complementary procedures so we can provide you with a full treatment program. Our physical therapy and wellness center is equipped to help people with established diagnoses and those who are unsure of the cause of their pain. Schedule an appointment today and learn more about how we can help you get rid of your back pain today. The mission for our chiropractors is to attend to each patient carefully by emphasizing the patient-doctor relationship. In investigating the lifestyle of each patient, we will be able to identify the cause of your pain. Finding the cause is the primary goal in order to get rid of it. Once the cause is discovered, the chiropractor will design a treatment program that works best for you. After understanding the cause of your pain and making adjustments to the spine, we will review with you the best eating and exercise regimens to avoid triggering the pain again and for complimenting the treatments leading to a healthier lifestyle. Using a practice that has been done since ancient Egypt, but with a modern spin of Daniel David Palmer’s philosophy, ProHealth is confident our adjustment and wellness plan can lesson or eliminate many problems from the nervous system. Prohealth Chiropractic and Wellness Center believes pain should not be a common factor in your life. Call for a free phone consultation or to schedule your first appointment with $50 off.